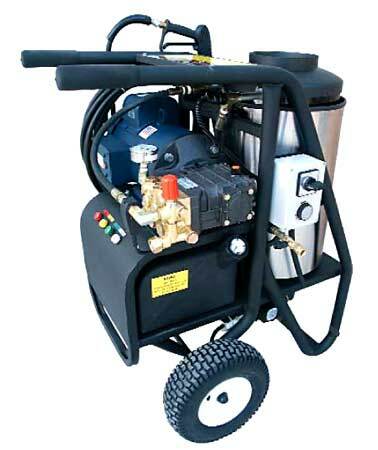 This state of the art 4000 PSI power washer is designed to be more durable and save you money in the long run. The unit is equipped with a cooling system that contains air vents, a pulley system and cool air propeller which all work together to achieve a reduction in heat build up. This will prolong the machine's pump life expectancy by up to 25%. The entire power washer system is set up on a stainless steel frame, which is then supported by two 13" foam-filled tires. 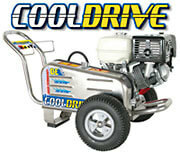 4000 PSI power washer has a water flow of 3.5 gallons per minute. It is equipped with a 13 hp Honda engine and a Comet pump.